suspended, and we will no longer be able to offer support for it. 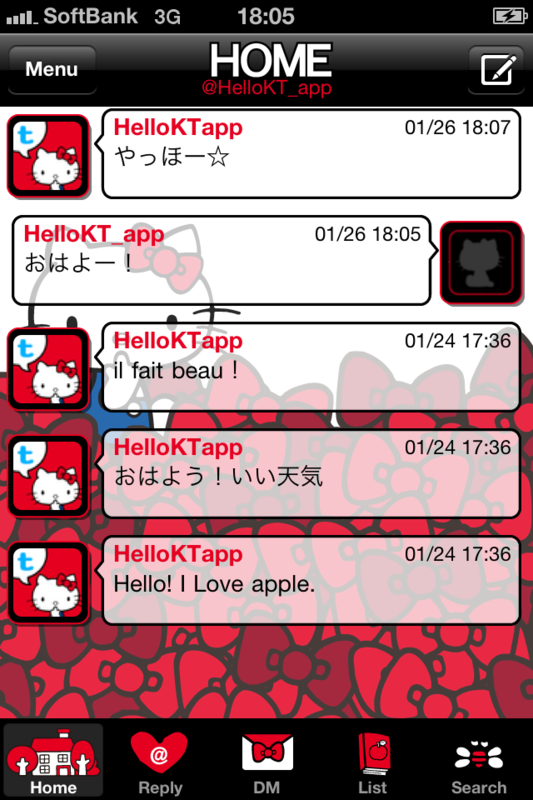 Hello Kitty app for Twitter is a Hello Kitty inspired Twitter client for iPhone and iPod Touch that is simple and easy-to-use. 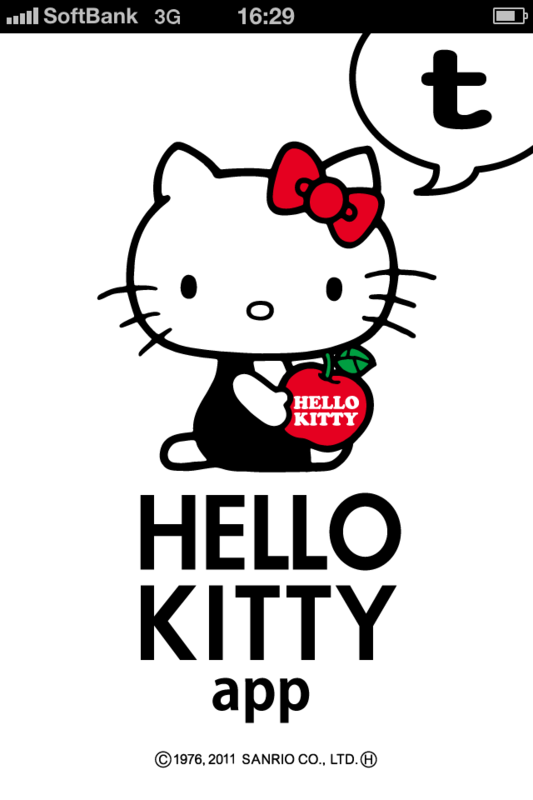 It comes with two skins: the classic "Kitty White" with ribbons galore, and the lovely pink "Kitty and Love Teddy". Use the design you like and enjoy Twitter more than ever. ・A complete Twitter toolbox for timelines, replying, direct messages, list displays and editing, and more. ・Convenient search functions: Search tweets, hashtags, local tweets/users and trending topics. ・”Push” notification: Be informed the moment you get a direct message or reply. ・Change settings: Customize scroll speed, auto-refresh, font size, shake to refresh, push notification, and time display. ◆Dress up with your favorite design and win free wallpaper with on the roulette wheel! ・Choose the skin you like from the 2 included. You can change between the designs whenever you like. 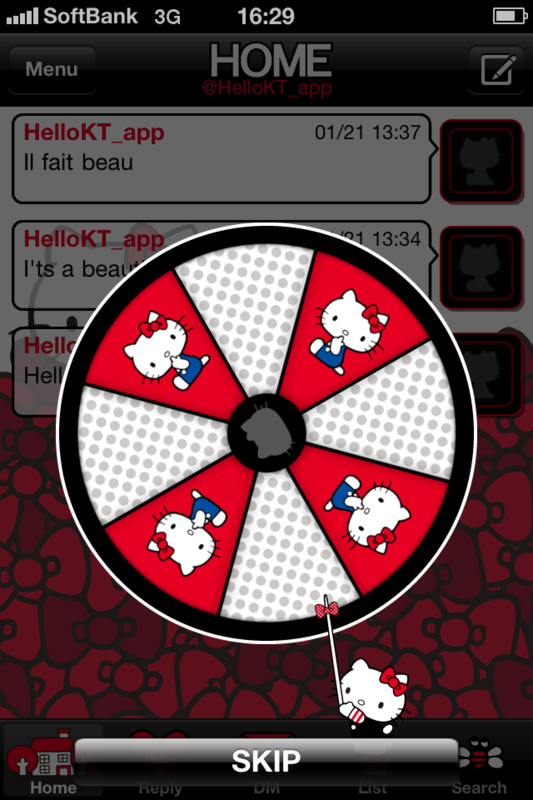 ・Spin the roulette wheel depending on how many tweets you've posted. Win and you’ll get a puzzle piece! 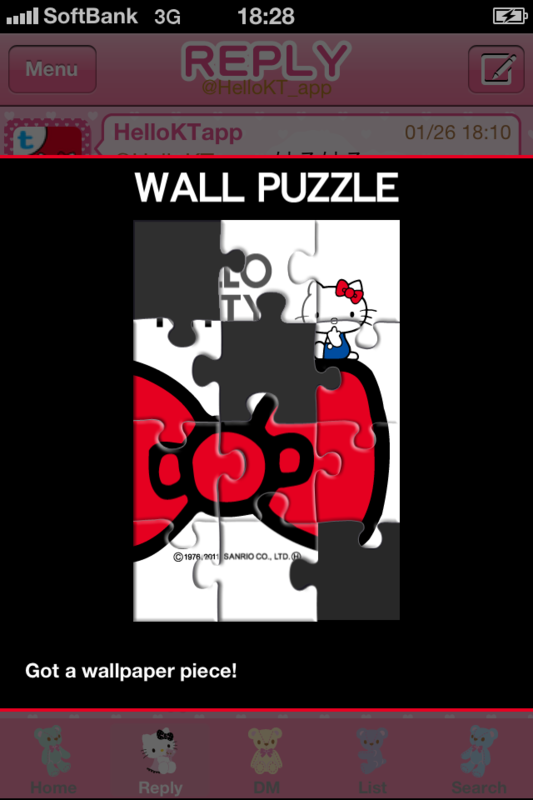 Complete the puzzle and you’ll be able to use it as wallpaper for your iPhone! There are two different wallpaper designs for each skin. 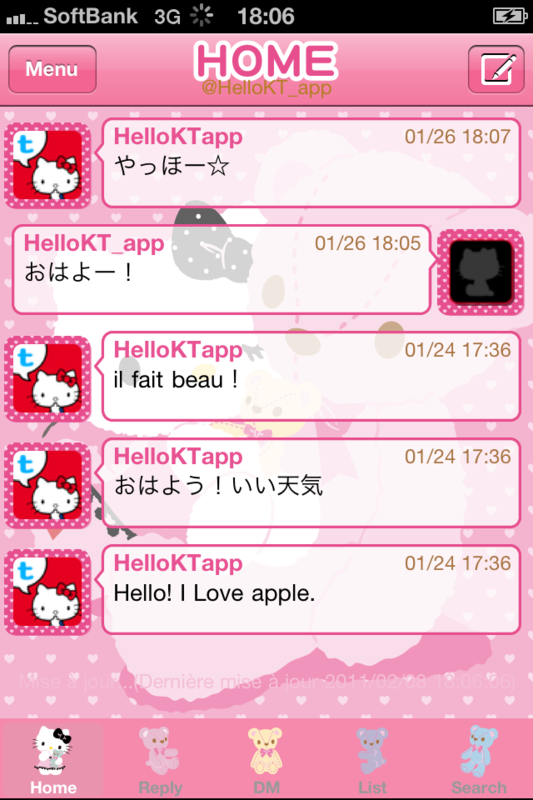 *This application is not available on iPhone 3G and iPod touch 2nd generation. More useful features are planned. • How can I shorten URLs? - If a tweet contains an URL, it is automatically shortened when sent. • When I display all unread tweets, the number of new tweets is not cleared. - The number of new tweets refreshes when going to a new menu (HOME, Reply, etc.) rather than upon displaying unread tweets. • I can’t remember how far I read when I refresh. - If you open the menu at the upper left, select “Settings”, then “Refresh Settings” and choose “Newest Unread”, you will automatically go to the newest unread tweet. Please be sure to ver.UP. Otherwise, you can not post pictures. Other Apps by NamcoBandai Games Inc.